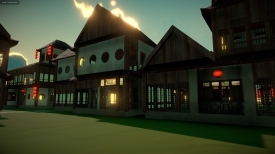 "A relaxing game about randomly generated buildings"
Sanctuary at Sea is not so much a game but a building generator that can create all sorts of beautiful buildings in front of you. 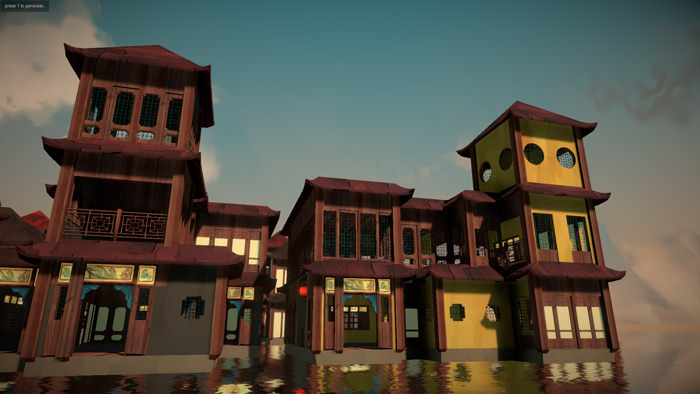 The buildings and houses look great and even the rendering of the water when the houses float atop the sea, you can randomly generate new buildings by pressing 1 whenever you want occasionally they may even be on land rather than water. Sadly however there is not much more to it than that and interaction is limited, the houses have doors but you cannot enter them and go inside and whilst it is enjoyable to take in these fantastically designed buildings, it gets quite boring quite quickly with no objectives or anything or anyone to interact with. Sanctuary at Sea might be appealing if you fancy just a relaxing and tranquil game where you feel more of an observer rather than a player then it is worth checking this out. You can download Sanctuary at Sea here for free.